HOLBROOK, NY--(Marketwired - September 04, 2015) - American Portfolios Financial Services, Inc. (APFS), a privately-held, independent broker/dealer, which provides services and support to financial advisors throughout the country, announces its official completion of the Silent Strength online video series, created at its on-site digital media facility, Studio 454, capturing fascinating and impactful stories of Long Island's WWII veterans and their experiences in one of history's Great Wars. 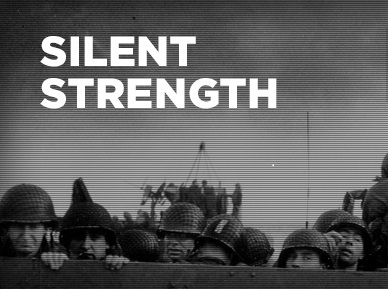 Filmed in a documentary style, Silent Strength commemorates the 70th anniversaries of D-Day and V-J Day through interviews with World War II veterans. The series includes first-person 12 vignettes from a generation of U.S. military veterans-many of whom are now in their 90s-retelling their stories of resilience and survival about their experiences during one of the deadliest wars in history. Subjects for the Silent Strength series were chosen through their participation in Honor Flight Long Island, a non-profit organization that provides military veterans with free trips to visit Washington, D.C., memorials. With full support and permission for access to resources of Studio 454 and the corporate communications team from APFS CEO, CIO and President Lon T. Dolber, Honor Flight board member and APFS affiliated financial advisor William P. Donahue spearheaded the Silent Strength project with the aid of filmmaker Bob Pulick. Donahue states that the series is of vital historical importance because it "documents the stories of these WWII veterans, thus making it our hope to echo their sacrifices to future generations." The servicemen in the Silent Strength series exemplify the reasons why they are regarded as members of "the greatest generation." Said Dolber, "The stoicism attributed to those who served during World War II, returning home and resuming with everyday life as if nothing happened, is remarkable after hearing and seeing these veterans tell their stories from more than 50 years ago. Truth be told, from one generation to the next, the price of war has taken a heavy toll on our veterans and their families. These are our true American heroes whose stories, while riveting to us, serve as a cathartic release for them." APFS would like to formally acknowledge the participants of the Silent Strength series and respectfully thank them for their brave service to our country: Thomas Trabucco, Private First Class, U.S. Army/Expert Gunner, Carbine Marksman, U.S. Air Force; Martin Sylvester, Corporal, U.S. Army; Gil Blum, Technical Sergeant First Class, U.S. Army; Marvin Bochner, Regimental Sergeant Major, U.S. Army; Angelo Salerno, Private First Class, U.S. Army; Oreste H. Cariddi, Private First Class, U.S. Army; Leroy E. Barnes, Sergeant, U.S. Army; John J. Zaffuto, Private First Class, U.S. Army; Thomas J. Morris; Staff Sergeant/Engineer Gunner, Army Air Corps; Stanley M. Feltman, Corporal, U.S. Army Air Corps; Joseph James Federel, Radio Operator 3rd Class, U.S. Navy, K Division; and Alvin Gerson, Seaman First Class/Musician 3rd Class, U.S. Navy. The entire video series can be viewed at https://vimeo.com/channels/789617/videos. Headquartered in Holbrook, N.Y., APFS is a full-service, independent broker/dealer and member firm of FINRA and SIPC, offering a complete range of financial services, including personal financial and retirement planning, securities trading, mutual funds, access to investment research, long-term care planning, insurance products and tax-free investing. Fee-based asset management is offered through its sister subsidiary, American Portfolios Advisors, Inc., (APA), an SEC registered investment advisor. Both reside under the legal entity American Portfolios Holdings, Inc. (APH). Full-service securities brokerage is available through a clearing firm relationship with Pershing, LLC, a BNY Mellon firm, the securities of which are held on a fully disclosed basis. The company currently serves 811 independent investment professionals located in 361 branch locations throughout the nation.